Could playful design deliver a positive ROI in the workplace? This article examines the evidence that introducing a “playful” environment in the traditional workplace can result in more productive employees, reduced absenteeism and increased employee retention. Playful design is one of the concepts which has received increasing attention in the past few years. Evidence from a range of studies shows that introducing an element of playfulness into the workplace can have a number of benefits. The problem for facilities managers is to ensure that any elements of playful design not only complements the existing workplace culture, but is also in keeping with business activities. Plus, it needs to include the functional advantages required to deliver value. A number of studies have shown that working in an environment which gives the opportunity to combine work-related activities with recreational ones can have a longer term, beneficial effect. It’s clear from medical research that the physiological changes which occur due to negative emotions (boredom, frustration, anger) can bring about a range of unpleasant medical conditions. Not only can this increase absenteeism, but employees who are unhappy at work are also more likely to look for alternative employment, with a subsequent financial cost to the organisation. Studies also show that employees who are in an environment that encourages creativity, fun and collaboration demonstrate a higher level of productivity than employees working in a more mundane ambience. What would playful design look like? Obviously, the need to incorporate elements of play into workplace design needs to be tempered with practical considerations. 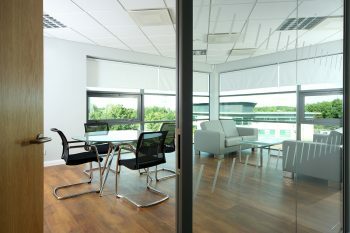 Any fresh commercial flooring, paint, furniture or accessories need to offer excellent value, as well as demonstrate high quality, longevity, easy maintenance and safety. Flooring can certainly have a role to play in creating a playful environment. Whether it is through palettes that provide bright, primary colours and the opportunity to create striking geometric patterns, contrasts and engaging accents, through the use of commercial carpet tiles. Or simply modern durable vinyls and attractive safety flooring which offer practical safety and ease of maintenance solutions in recreational areas. 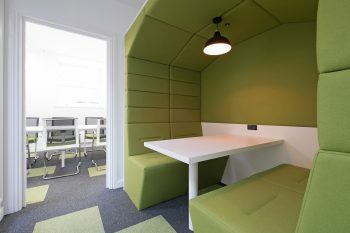 Often a few changes are all that’s needed to the workplace interior to achieve an engaging ambience. Popular alterations when it comes to flooring include adding individual floor tiles in bright, vibrant hues (these can be placed randomly, providing a cheerful accent without requiring a total floor replacement). 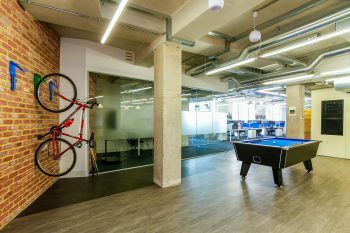 Also considering the purchase of furniture accessories including bleachers, games (ping pong tables are a staple in many corporations which have embraced a playful work culture) and items such as sweet dispensers and on brand feature walling that will reflect the company’s ethos. 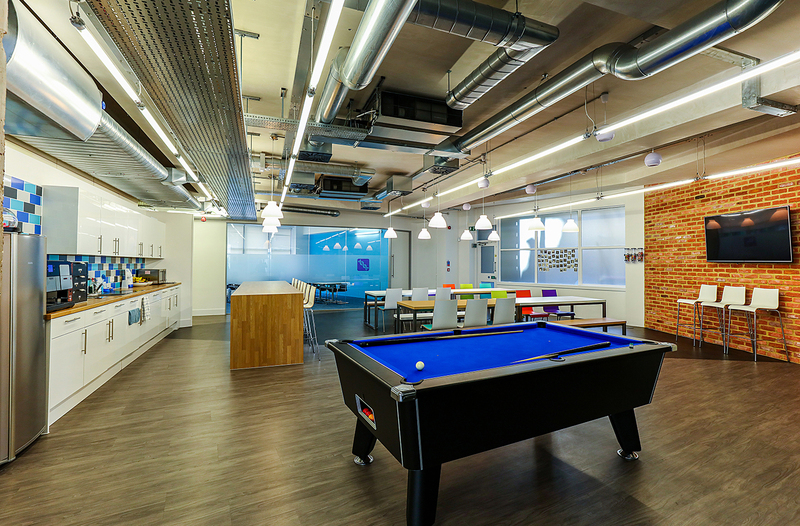 Could a playful work environment make a difference to the corporate bottom line? Any decision on resources needs to be weighed against the potential effect on profitability. What the research tells us is that, although there is little benefit in the shorter term, over months and years, the effect on employee attendance, productivity, satisfaction and retention through the introduction of a playful working environment can be enormously positive. Image shown on this page is kindly supplied by Zentura – read our case study.